If you are in the market to sell a Hublot watch in the NYC area then look no further you are in the right place. 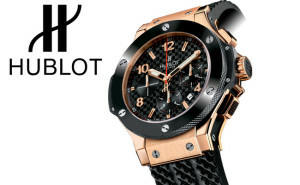 We offer an easy and trusted way to sell your Hublot watch and other high end luxury watches. Whether you are upgrading to a new Hublot or another brand or are in need of some cash or simply donâ€™t wear your Hublot watch anymore then please read on. We are located in midtown Manhattan in NYCâ€™s Diamond District on 47th Street between 5th and 6th ave. We are open 5 days a week from Monday to Friday from 930am to 6pm and on Fridays we close at 3:30pm. You will soon realize that selling a watch to The Precious Metals Group Inc. is a great choose. We will reward you with the highest price given and expert service, and we can even help you pick a new watch as we have many connections in the watch business. We would love to help you sell your Hublot watch, and there are a few things that you will need to keep in mind when selling your Hublot watch, and those things are: Trust in the buyer, Ease of transaction, Compensation and Reward. If you are looking to sell your Hublot watch we would be honored to pay you.